Primary sources are "first-hand" information, sources as close as possible to the origin of the information or idea under study. Primary sources are contrasted with secondary sources, works that provide analysis, commentary, or criticism on the primary source. In art, literature, and cultural studies, primary sources include original creative works, such as paintings, architectural plans, music, poems, novels, movies, television shows, and even advertisements. In historical studies, primary sources include written works, recordings, or other sources of information from people who were participants or direct witnesses to the events in question. Examples of commonly used historical primary sources include government documents, memoirs, personal correspondence, oral histories, and contemporary newspaper accounts. In the sciences, primary sources are usually articles or data resulting directly from experiments, fieldwork, or clinical trials. Note that the "primacy" of a source can be relative. In cases where original records were lost or a live performance was never recorded, a review or commentary from a third party may be the most primary source available. Though many UCLA research guides link to primary resources, this list highlights those guides that have significant sections devoted to primary sources. 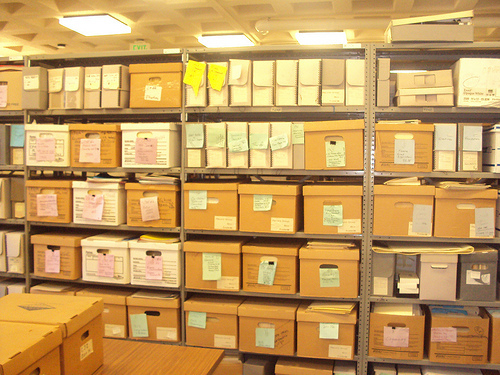 The majority of the material in Library Special Collections would be considered primary resources. The following types of sources are generally considered to be primary sources. Though usually written by journalists who were not direct witnesses to events, newspapers and news broadcasts may include quotes or interviews from people who were. In the absence of first-person accounts, contemporary news reports may be the closest thing to a primary source available. Includes information on how to cite image resources, rights and reproduction, and a list of online resources to find images. On-site and streaming media collections at UCLA.